The holiday season has already kicked-off at Fantasino Casino, with one lucky punter winning a neat €92,203 jackpot on NetEnt Koi Princess video slot! The lucky winner is from Finland and is known only by her initials J.G. She joined Fantasino Casino only four days prior to this win which will definitely get her into the festive spirit. 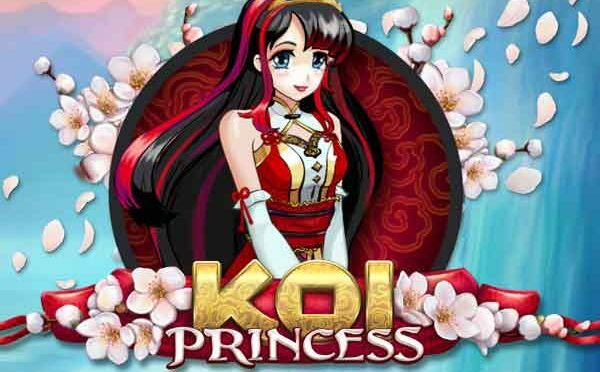 Launched in 2015, Koi Princess is a five-reel slot with 20 paylines and one of NetEnt’s most feature-packed slot ever made. Drawing its inspiration from the Asian culture, the game offers an exciting playing experience with plenty of chances to grab rewarding prizes. This dynamic release offers Random Features that can appear unexpectedly during any spin in the Main Game, as well as exciting Bonus Features: Sure Win Free Spins, Wild Reels Free Spins, Coin Win and the Bonus Wheel. Players can even activate the Bonus Bet feature by paying extra, resulting in much bigger payouts during the game’s bonus rounds. Located in Costa Rica, Fantasino Casino has become very popular among the punters around the world in a short period of time, offering its customers a highly rewarding loyalty scheme. Fantasino Casino offers its players an entire world for them to explore and enjoy, with plenty of breath-taking adventures filled with side quests, missions, and lucrative prizes. Although a new name in the market, Fantasino Casino team has a vast experience in the gaming industry. The site has a wide offer of video slots and casino games from some of the biggest and most popular providers in the world, such as NetEnt, Quickspin, Endorphina, Play’n GO, Habanero, Booming Games, and more. In addition to this, Fantasino Casino allows players to make withdrawals of their cash winnings. As Fantasino Casino proudly says on its website, the aim of its team is to provide a different casino journey: one with a fun and personal touch! Congratulation to the lucky player on her fantastic win! We’re sure this Christmas will be an unforgettable one.